The Fault information is captured from an OMRON Automatic Optical Inspection system, e.g. VT-S720, VT-S500 or VT-RNS2 networked together with Inspection Pro. 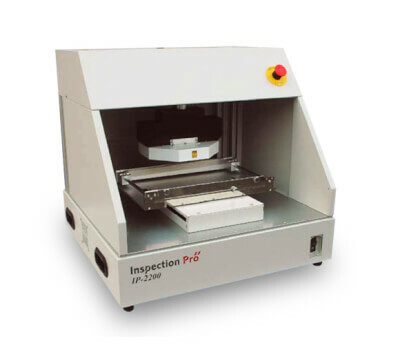 Inspection Pro has been developed to trace inspection results integrally when linked with an Automatic Optical Inspection system, which in term is connected to a database which allows management of inspection history. Very high image quality with several cameras. The judgment by the operator is therefore very easy without any mistakes possible. Increased focal depth of the camera which sharpens visual point images in a wider angle. Easy operation and possibility to rotate the cameras around the fault to help the operator. Possibility to have additional check points for part which aren’t necessarily in the AOI machine program. Our distributors are positioned to give you outstanding technical support and service. See our systems in use and consult our experts.